It all sounds rather heady, I suppose — developing the Christian mind, thinking Biblically, relating faith to learning, doing the work of being a Christian student — but here’s the thing: I tried to help them see that not only do they discover stuff about God’s world and ways as they explore God’s creation in their studies, and what they should be doing as agents of change within their professions or careers, but also that in so doing they can come to know God better. They can actually find God right there in the lab, in the lecture hall, in the gym, in the library, while writing papers, doing projects, running experiments, planning presentations, taking tests. Learning to live seamlessly with a sense of being in God’s world becomes a formative opportunity, an invitation to actually walk with God. With this approach, Barbara Brown Taylor’s book title – An Altar in the World – is literally true. All of life is holy ground and all of life’s moments becomes doorways into deeper spirituality. There is a whole genre of books about what I call the “spirituality of the ordinary.” (See a list of a few of them below, which we have for a limited time at 50% off.) We have them on a shelf within our section of books about spirituality but make no mistake: these are not books about meditation and mystical spirituality, not about deep reflection on Scripture or learning to fast or journal or walk a labyrinth. We have those kinds of books that are familiar to those who read about inner formation by way of practicing classic spiritual disciplines. These “spirituality of the ordinary” books invite us to not just “practice the presence of God” throughout the day, seeking spiritual awareness layered on top of ordinary stuff but to actually experience God’s gracious presence in the doing of the ordinary stuff. The best “spirituality of the ordinary” resources are luminous, lovely, telling of epiphanies and encounters of God in the mundane. Like anything, learning to practice the presence of God (Brother Lawrence’s famous book by that name tells of his learning to pray while doing the dishes) and learning to encounter God in the daily takes practice. It takes some training to do well. 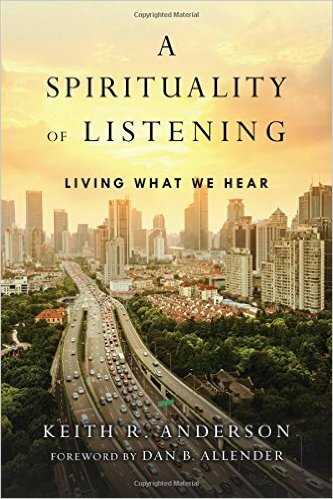 We have seen a number of good books recently about listening to God, about attentiveness, about being sensitive to the prodding and prompting of the Holy Spirit as she shows up moment by moment. 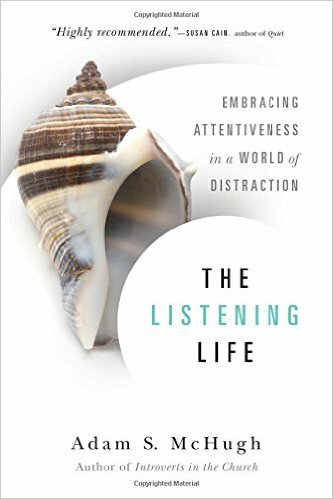 Just for instance, consider The Listening Life: Embracing Attentiveness in a World of Distraction by Adam McHugh (IVP; $16.00) or A Spirituality of Listening: Living What We Hear by Keith Anderson (IVP; $16.00) two recent books that are wonderfully helpful. This is an important practice in its own right, to slow down, be attentive, and notice stuff, but it also shapes us, forms us, trains us, to see God in surprising places. CAN WE TRULY FIND GOD IN THE MUNDANE AND MESSY? For some, though, it is hardly even imaginable, to walk with God in the so-called secular arenas of politics or science or art or entertainment, using technology or shopping or working or playing. Not that there is anything wrong with picking blackberries (that’s the point, after all!) It is the word unaware that captures the problem. We are invited to see all of life as worship, see all of life as a burning bush, experience God’s presence in the most ordinary of moments, but we often move through our days unaware as a secularist or even atheist might. Or, we suppose God exists and maybe cares about our lives, out there somewhere, true enough, but distant. More likely we assert that God is close, but we forget. It may be part of our mind’s ideas, a matter of theological truth to which we give assent, but it hasn’t worked down to our heart, our skin and bones. This, of course, is a major theme of the Hearts & Minds Book of the Year James K.A. 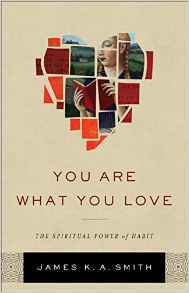 Smith’s You Are What You Love: The Spiritual Power of Habit (Brazos; $24.99.) We’ve been promoting this great book (and the more scholarly predecessors, Imagining the Kingdom and Desiring the Kingdom) since it came out last Spring and at conferences lately have nearly insisted that folks buy it. Smith reminds us that we are not what we think we are. (The rationalist philosopher “I think therefore I am” Rene Descartes was just wrong about that.) Rather, as Saint Augustine said, we are what we love, we are restless, perhaps, if we love the wrong things. 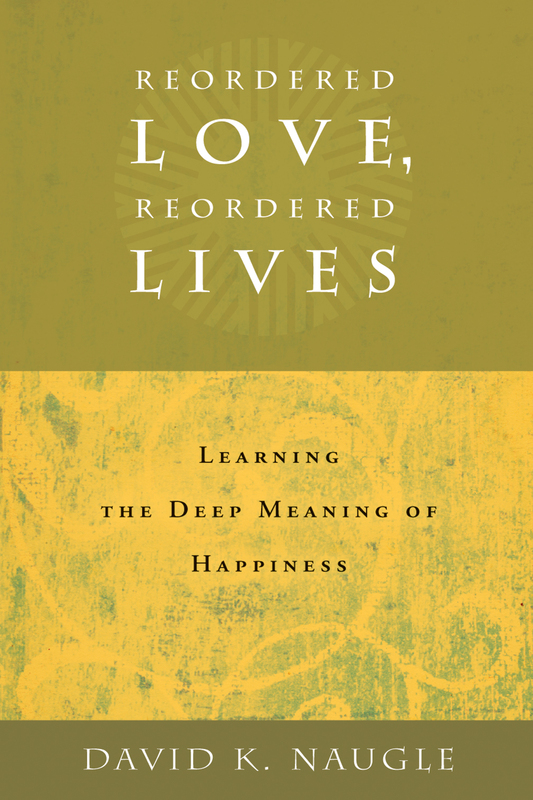 But we can learn to want the right things in the right way, leading to what David Naugle says in his must-read reflection on all of this, Reordered Love, Reordered Lives: Learning the Deep Meaning of Happiness (Eerdmans; $20.00.) Our daily habits work on our hearts, nearly subconsciously, “re-ordering” us, forming us to desire certain things, certain ways of life, based on visions of what we construe to be good and true. It follows that we can desire and imagine and live into God’s ways if we realize that daily habits either pull us into the Divine orbit or push us into another way of being. We can learn to want God’s presence (perhaps the first step of practicing the presence) through habit, through ritual, through worship, through practice. But, as the last third of Smith’s remarkable book shows us, we embody the Kingdom in the world, living out, all the live-long day, the ways of God, because we’ve been shaped to do so. Or, perhaps, we don’t, because we haven’t been shaped to desire that. For better or ill, our habits and cultural liturgies have formed us. And so, we are predisposed to be open and attentive to God in the daily grind, or, maybe, we are acculturated to not be so aware of such things. It’s no wonder we don’t find God in the classrooms or workplaces or even the living rooms of our lives if we are subconsciously already shaped to think God isn’t really present or active or in relationship with us in those seemingly secular places. The very best book I’ve found to explore all of this quite practically – finding God in the ordinary, the spirituality of the mundane, learned by habits and rituals and ways of living life in what can only be called sacramental – is the brand new Liturgy of the Ordinary: Sacred Practices in Everyday Life by Tish Harrison Warren (IVP; $16.00.) It is, I am convinced, one of the best resources you will find to help you live faithfully throughout your ordinary days and it is one of the best resources to help you thereby come to know God better. I’ve been waiting for a book this good about these things for years, it seems, and this is it! Liturgy of the Ordinary is a baptism of vision. Tish Harrison Warren warmly and wisely helps us find God in the strangest of places: standing at the sink, sitting in traffic, stooping to make a bed. As it turns out, our everyday habits are imbued with the holy possibility of becoming new people in Christ. This beautiful book will brush the dust from your dingy days and reveal the extraordinary that is to be found in the ordinary. No mundane daily task will be the same once these pages open your eyes to how the work of your hands reflects the ways of the Creator and the rhythms of eternity. If Christianity is to retain its witness in our frenetic and fragmented age, it must take root not only in the thoughts and emotions but also in the daily lives and even bodies of those who call Christ Lord. Tish Harrison Warren has beautifully ‘enfleshed’ the concepts and doctrines of our faith into quotidian moments, showing how every hour of each day can become an occasion of grace and renewal. 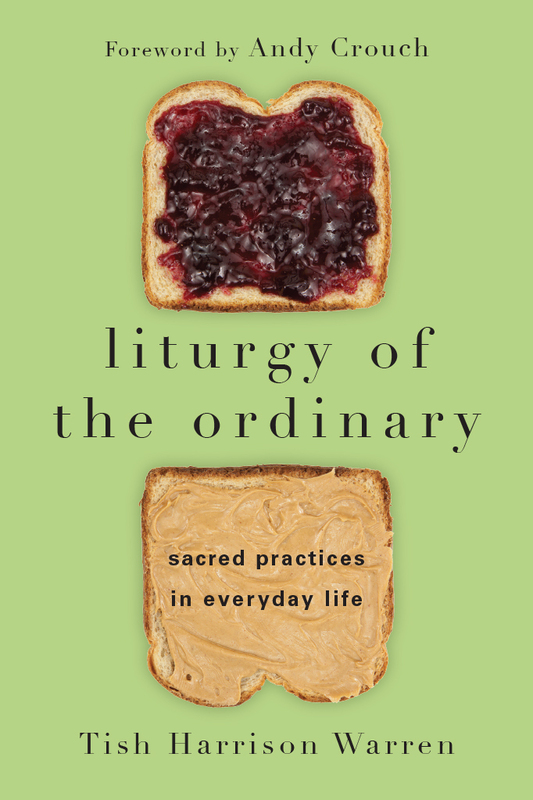 If you want to know how faith matters amid messy kitchens, unfinished manuscripts, marital spats, and unmade beds, Liturgy of the Ordinary will train your eyes to see holy beauty all around. Sometimes the difference between drudgery and epiphany is just seeing things from the right angle, a frame that reframes everything, even the mundane. This marvelous little book is that certain slant of light that illuminates the everyday as an arena of sanctification, where the Spirit makes us holy in ways we might miss. You don’t need more to do in a day, Warren shows. Instead, reframe the everyday as an extension of worship, and folding the laundry, washing dishes, and even commuting become habitations of the Spirit. It encompasses one day, from our very first moments of waking in the morning on the first page to our drifting off into sleep on the last. No more and no less. 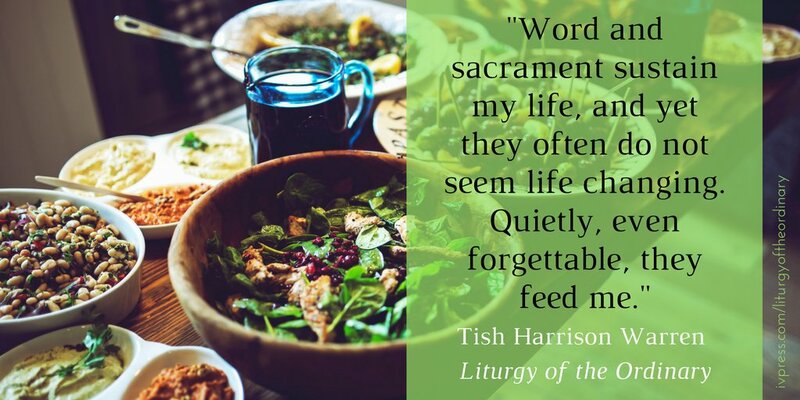 But in between, with the writer’s (and indeed the poet’s) gift of slowing down and paying the best kind of attention, Tish Harrison Warren connects the moments of an ordinary day with the extraordinary pattern of classical Christian worship. 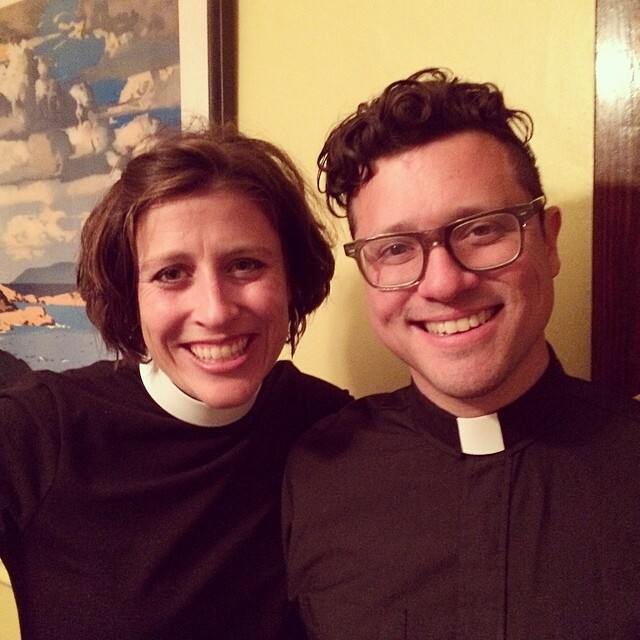 As someone who is both ordained to priestly service and who has invested her life in radical ways to serve the materially and spiritually poor, Tish is the perfect person to help us discover just how wrongheaded these sacred-secular distinctions are. Like all heresies, this one can only be conquered by the beauty of orthodoxy, and the beautiful orthodoxy that undermines all foolish secularizing is that endlessly surprising Christian doctrine, the incarnation. And, so, Liturgy of the Ordinary is not only great to read to widen your understanding of the scope of spirituality and to help you learn to find God’s holy presence in what Kathleen Norris has called “the quotidian mysteries” but it will help you, in an allusive way, to move through Advent and prepare to celebrate Christmas. Christmas is the high holy day when we party it up to remember that God took on human flesh and “moved into the neighborhood.” Glory the angels sang, as holiness came to Earth. The implications are endless, but starting with the common place makes a lot of sense, eh? Yep, this book, which is so incarnational, helps us appreciate Christmas. Our bodies, our pleasures, our fears, our fatigues, our friendships, our fights – these are in fact the stuff of our formation and transformation into the frail but infinitely dignified creatures we are meant to be and shall become. Our moments of exaltation and stifled yawns – somehow they go together, part of the whole life that we are meant to offer to God day by day, as well as Sunday by Sunday, the life that God has taken into his own life. It is the life Christ himself assumed, and thus rescued and redeemed. Well, that’s just the prelude – you might imagine why this book is so very good, when this kind of precious insight sets it up. The foreword is good and the book itself is good, really good. ONE LONG DAY, BLESSED AND BEING REDEEMED? As Andy said, The Liturgy of the Ordinary is, in fact, a set of reflections that walk through one day in the author’s life. She writes about waking up and making beds and cooking and emailing friends, commuting and more. I think the best thing to do is to just show the Table of Contents. Please note not only the chapter titles but also the evocative subtitles. It will show you what Warren is up to. And she is up to a lot. That she is an ordained Anglican priest (and a wisely well read one at that) helps her appreciate the role of ritual, and gives her the liturgical and sacramental theology to frame these daily moments with the richest sort of spirituality. Others can help us unpack this kind of stuff, I’m sure, but this author is certainly well-prepared for just this project, making it the best book I’ve seen on finding God in the ordinary stuff of a daily life. Ms Warren is an honest writer, living the kind of life that most of us live, fretting over stuff that demoralizes us all, offering insight on the good, the bad, and the ugly. (Losing keys? Fighting with her spouse? Waiting (impatiently) in traffic? Check, check, check. In my mind I have an ideal for my table – friends and family gathered around a homegrown, local, organic feast with candles and laughter and well-behaved kids. A lot of beauty and butter. But much of the time, my meals aren’t like that. And today I have left-overs. Taco soup. Not homegrown. Not local. Corn and beans dumped from cans into a crockpot. It’s a go-to meal for us, what we make when people are coming over because it is cheap and easy. It is adequate and a little boring. Now it is warmed over again on my stove for lunch. Our sleep habits both reveal and shape our loves…. I love my kids, so I sacrifice sleep for them (often) – I nurse our baby or comfort our eldest after a nightmare. I love my husband and my close friends so I stay up late to keep a good conversation going a bit longer. Or we rise early to pray or take a friend to the airport. But my willingness to sacrifice sleep also reveals less noble loves. I stay up later than I should, drowsy, collapsed on the couch, vaguely surfing the Internet, watching cute puppy videos. Or I stay up trying to squeeze more activity into the day, to pack it with as much productivity as possible. My disordered sleep reveals a disordered love, idols of entertainment or productivity. And then she mentions Parks and Recreation. Ha. 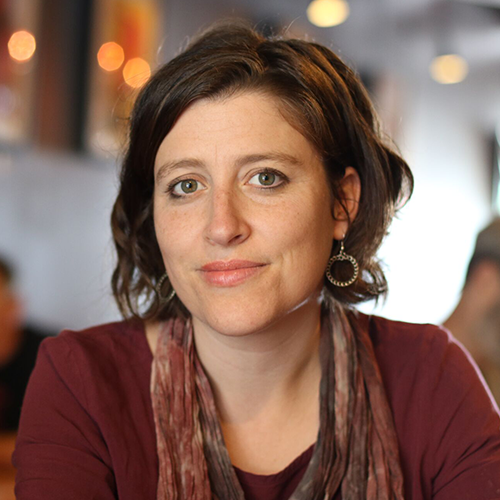 Tish Warren is the kind of writer I like, moving easily from sociological research — vividly brought to us from, say, wonderful quotes from This American Life with Ira Glass or an op-ed piece by Rod Dreher or a lively, contemporary documentary — to personal stories from her own interesting life. Her theological bias is elegant, too – lines from The Book of Common Prayer merge with citations from Dorothy Bass and Steve Garber, Madeleine L’Engle and Tim Keller, ancient saints and modern poets. It is a very informative and yet delightfully enjoyable book to read. And yeah, despite that tussle in chapter 6, here she is with her husband, also a priest, who is still smiling. Nice, eh? The Liturgy of the Ordinary is, quite simply, a great, great book. From the delightful cover to the poetic chapter titles to the fine writing to the mature but accessible theology that shapes it, it is a book that will have a very wide appeal. I’m sure many will find it transformational. FOR ONE WEEK ONLY — UNTIL FRIDAY, DECEMBER 9, 2016 — THESE 15 ARE HALF-OFF IF YOU BUY ONE COPY (OR MORE) OF LITURGY OF THE ORDINARY (at our sale price of 10% off.) SUPPLIES ON MOST OF THESE ARE VERY LIMITED SO WE CAN ONLY SEND THE HALF-OFF ONES WHILE SUPPLIES LAST. ORDER TODAY; TELL US WHICH ONES YOU WANT. The Play of Light: Observations and Epiphanies in the Everyday World Louis J. Masson (Cowley) $14.95 A mature and very thoughtful set of memoiristic essays, beautifully told, allusive and thoughtful about nature and place and time and memory. There are some marvelous endorsements by writerly types, including this from Brian Doyle, who says it is “dry witted, sharp-eyed, large-hearted… a poet of the miracle of the moment, an essayist of startling lyricism, grace, and mercy.” How ’bout that? 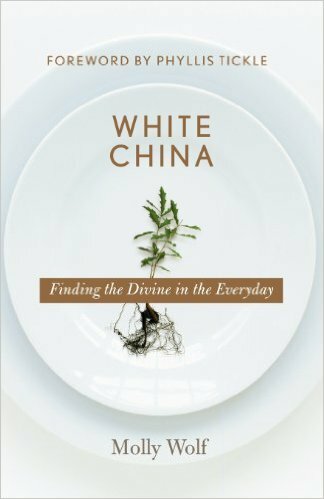 White China: Finding the Divine in the Everyday Molly Wolf (Jossey Bass) $16.95 With close observations of the natural world, a fine degree of wit and charm, this Canadian author brings passion and insight. Don’t miss the powerful forward by the late Phyllis Tickle; there is a blurb on the back by Nora Gallagher. What a beautiful book for this kind of tender spirituality. Wolf has another book called Sabbath Blessings and is known for this sort of work. 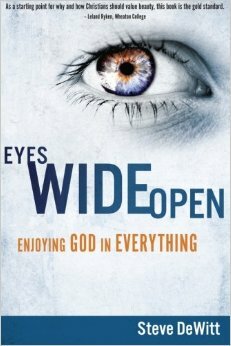 Eyes Wide Open: Enjoying God in Everything Steve DeWitt (Credo House) $14.99 DeWitt is an evangelical pastor who admitted that as a Christian he still “walked beaches, viewed sunsets, enjoyed music, ate desserts, and stared at the stars pretty much as an atheist.” This is winsome, practical, and pleasant in helping us see the deep purposes of God in displaying beauty in the world. Very thoughtful, connected to a richly Reformed worldview. Seeing God in the Ordinary: A Theology of the Everyday Michael Frost (Hendrickson) $12.95 This is a lesser known, early book by the passionate leader of the “missional church” movement — and what a book it is! Clear, thoughtful, worldviewish, culturally engaged, it offers keys to do just what it says: find God in the ordinary by developing a theology of the everyday. I wish we’d have sold a bunch of these, and have promoted it for years, so maybe at half price, folks will see just how vital this is. Yes! 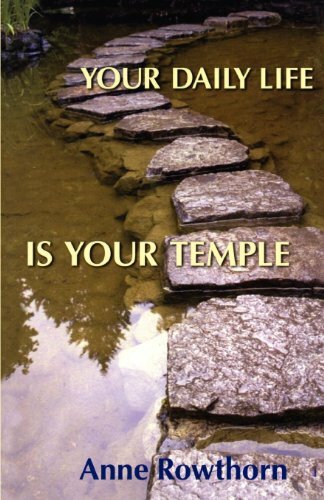 Your Daily Life Is Your Temple Anne Rowthorn (Seabury Books) $16.00 This author has traveled widely writing on many subjects, with a keen sense of social justice and solidarity with the marginalized. Here, she shares stories, looking for “traces of the holy” in her midst, challenging our notions of what spirituality is. Published by the classic Episcopalian publisher 10 years ago, the title is drawn from a line by Kahlil Gibran. 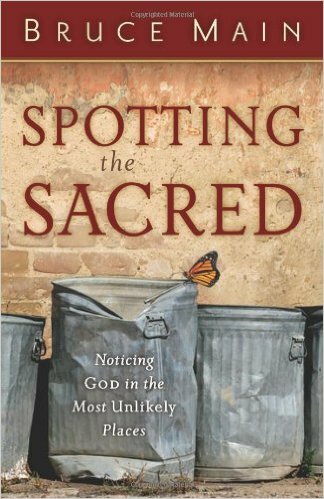 Spotting the Sacred: Noticing God in the Most Unlikely Places Bruce Main (Baker) $15.99 Main is a hero to many, an urban activist and evangelical advocate for justice and racial reconciliation. Perhaps the garbage can on the cover gives a hint: we can find God everywhere, and not just in the beautiful sunsets and glorious moments. There are lively stories here but good Bible study and Kingdom preaching, too. Nice blurbs on the back from Tony Campolo and from Richard Mouw. 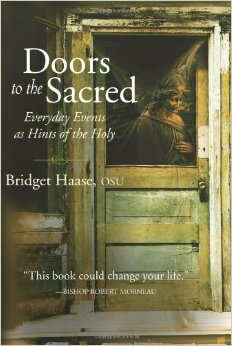 Doors of the Sacred: Everyday Events as Hints of the Holy Bridget Haase (Paraclete) $14.99 Sister Bridget is a nun in the order of the Ursuline Sisters and has served in mission all over the world; she has seen suffering, served the sick, and yet is happy to find grace almost anywhere. She’s a born storyteller and her stories draw you into spiritual realities found in the commonplace. Written like a devotional there are a nice set of “owning the story” reflection questions at the end of each reading. Paraclete always does classy books, and we have a few of these left. 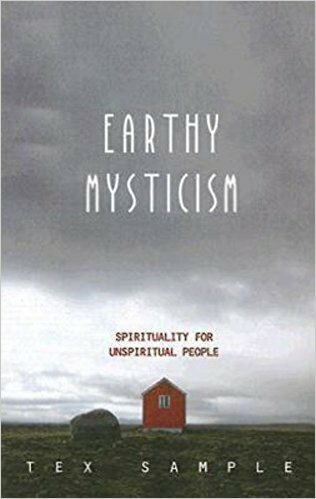 Earthy Mysticism: Spirituality for Unspiritual People Tex Sample (Abingdon) $15.00 If you’ve ever heard Tex Sample speak you know he is a Texan, a lefty justice activist, and a church consultant helping congregations reach rural, poor, working-class folk. His southern storytelling just shines in this fun set of ruminations on God’s presence in real world living. Blurbs are from Will Campbell and Stanley Hauerwas, if that gives you a sense of the sort of spirituality he brings. eder (Sorin Books) $14.95 There are soft black & white photos, calligraphied pull quotes, and nice little ideas for exercises here, giving this a feel that would be lovely for readers who are not young or overly edgy. As it says on the back “The notion that the world is filled with holy sparks is shared by religious traditions around the world. Learn to uncover this sacred dimension and you will begin to hallow the world and be healed by its powers…” The author is both a medical doctor and teaches philosophy; he has written widely about the role of the body in spirituality and has thought about health, wholeness and spirituality. 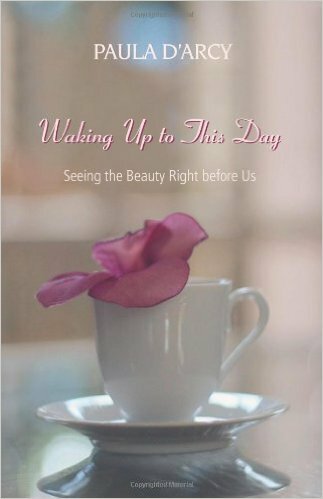 Waking Up to This Day: Seeing the Beauty Right Before Us Paula D’Arcy (Orbis) $17.00 D’Arcy came to great fame decades ago as an author and retreat leader when she wrote about grief in the international best-seller The Gift of the Red Bird. In this slim book she brings inspiring insights about being awake and aware. A rave blurb on the back is by Fr. Richard Rohr. 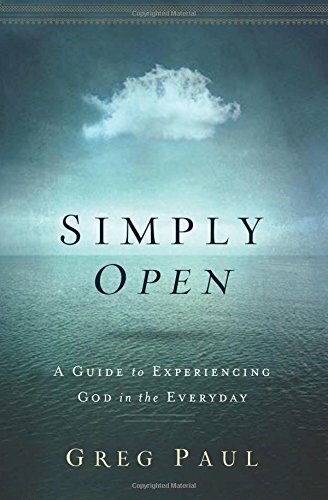 Simply Open: A Guide to Experiencing God in the Everyday Greg Paul (Thomas Nelson) $16.99 I have reviewed this before — Greg Paul is known for gritty narratives of his work with the poor and homeless in inner city Toronto, and man, can he write. 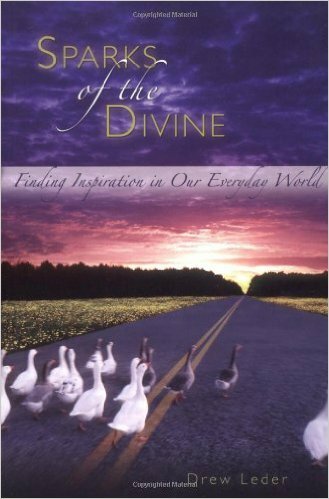 This book is, as it says, about being open to God’s presence, experience God day by day, in any circumstance. 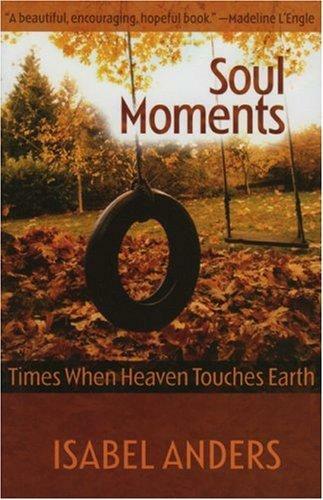 This is wise and mature spiritual guidance, written with a lot of raw stories and good illustrations. Chapter titles are “open my… mouth, ears, nostrils, eyes, mind, heart, and more… Wow. 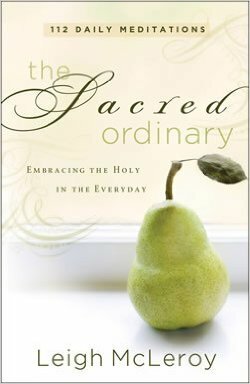 The Sacred Ordinary: Embracing the Holy in the Everyday: 112 Daily Meditations Leigh McLeroy (Revell) $12.99 Leigh McLeroy is a fine writer — I was moved by her previous book The Beautiful Ache. She helps us expereince God with these short devotional-like storires. The sections are arranged under the headings of Ordinary Places, People, Things, Moments, and Words. She’s artistic and attentive to God. Each entry includes a brief Scripture with questions. Very nicely done.